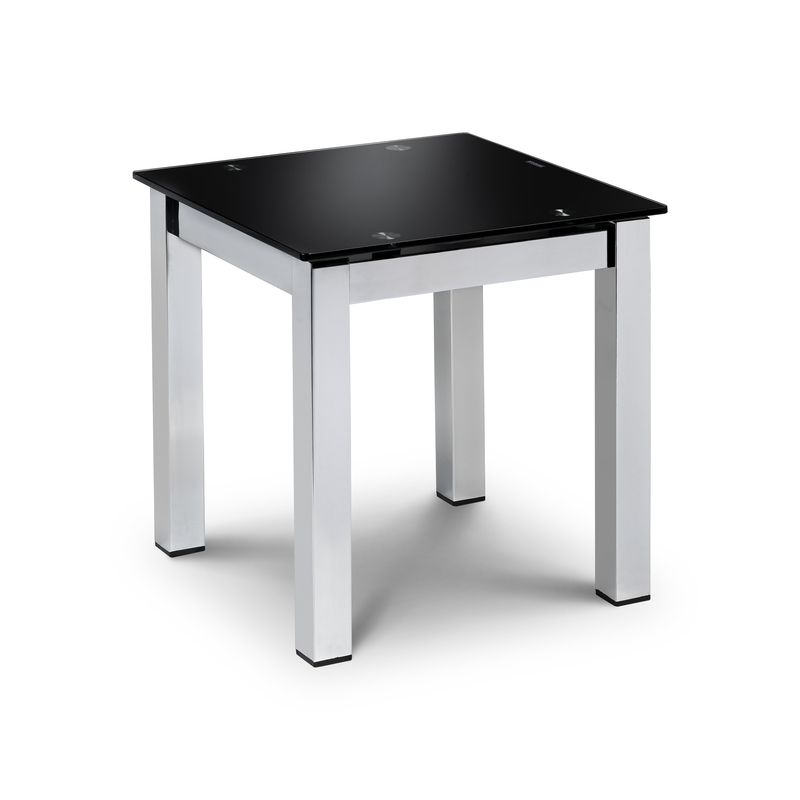 The Chrome and Black Glass Lamp Table is a chic and stylish feature for any home. The glass top is easy to clean and maintain and the chrome plated legs are solid and provide a modern look. This product requires assembly.